Educate, Train, and Perform! Join Accordion Renaissance! A Virginia non-profit charity foundation which promotes the accordion by offering education, training and performance opportunities. Education, general academic improvement – Research has shown that people who learn music early in life achieve better academic results and learn to apply these skills to other aspects of their education. Self-discipline, motivation and develops self-confidence – When a child masters a new skill, their confidence increases while their self-discipline and motivation is enhanced. Concentration and creativity – Through music education the ability to concentrate increases creating improved memory skills. The versatility of the accordion instrument for many music styles lends itself to improvisation. Being a part of a team – The accordion is a versatile and portable instrument whose features are easily included in ensembles, bands and orchestras. Being part of a musical group offers the student a lifetime of enjoyment as they have opportunities to link with their community. 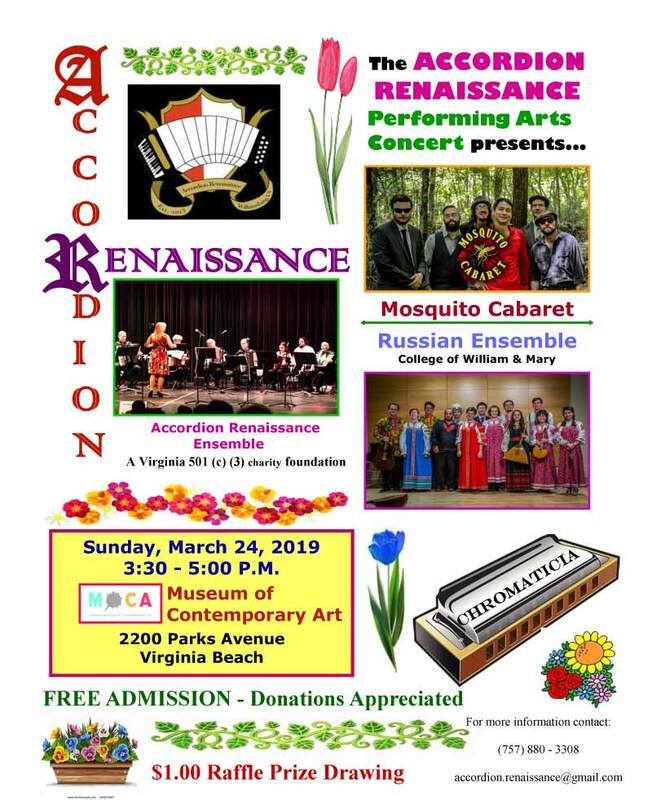 Accordion Renaissance offers special programs and support to (including accordions for students!) students, parents. teachers, and the local community . We accept donated accordions in support of our programs. Contact accordion.renaissance@gmail.com for information on any of our programs.